Radio show travel expert, Stephanie Abrams and her Traveling Companion, David Isby, treat listeners to Sun and Ski in this two hour offering of Travel WITH Stephanie Abrams, heard on Sundays in the 7pm to 9pm EST time slot nationally on the Business TalkRadio Network. 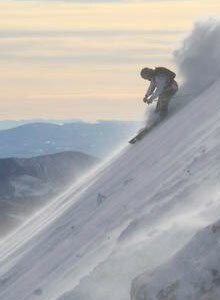 Skiing and year ‘round pleasure in The North East Kingdom of Vermont. Exploring the chain of Avalon Resorts from Mexico to Panama. An update from the teen from the Giving Tree Outreach Program in Tucson about their summer at The Maine Teen Camp. David Gwatkin from Burke Mountain Ski Resort, East Burke, VT.
Allison Marthers, Director of Sales & Marketing, Comfort Inn of the Year, St. Johnsbury, VT.
Marilyn Pastore, proprietor and innkeeper, Inn at Mountainview Farm, voted one of the 30 Great Inns by Travel &Leisure Magazine, East Burke, VT.
Monique Rafuse-Pine, director at the Maine Teen Camp. The three teens from the Giving Tree Outreach Program in Tucson, AZ , which rescues homeless children and assists needy kids, whom Stephanie Abrams sponsored for 4 weeks of great summer fun sharing their experiences. Travel WITH Stephanie Abrams!” takes radio listeners from Curtain Bluff in Antigua, to dinner with the Kennedy family chef at his restaurant and to Reunion Resort & Club in Orlando, and concludes the second hour of the show by globe hopping from St. Lucia to London, Cape Town and Palm Beach, Florida! Curtain Bluff Resort and the Caribbean Hotel Association's programs to “give back” to community of the Caribbean. Insights into fine dining in Orlando with the former Kennedy Family chef. How to stay in pampering comfort for the whole family at a golf resort in Orlando, Florida. Updates on upscale resorts in St. Lucia including RendezVous St. Lucia, The Body Holiday Le Sport, and The Plantation at Cotton Bay. And a global tour of Red Carnations Hotels 4 and 5 star properties in London and Evershot-Dorset, England, Cape Town, South Africa and Palm Beach, Florida. Robert Sherman, Managing Director of Curtain Bluff Resort in Antigua, BWI. Neil Connolly, owner and executive chef at Doc's Restaurant in Orlando, Florida. Julie Day, director, Reunion Resort & Club in Orlando, Florida. Michael Bryant, VP, Sunswept Resorts. 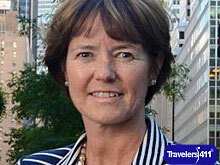 Arnelle Kendall, VP, Red Carnation Hotels. Castle Hopping and uniquely charming lodgings. Golfing in the Fatherland of Golf. Exploring the Mysteries of Loch Ness. Radio show host travel expert, Stephanie Abrams, will share her personal insights into the nooks and crannies of the highlands and lowlands with tips on travel to historic sites, the castle about which Shakespeare wrote Macbeth, notes on where to see salmon swim upstream, where to buy great woolens, places to walk on the same paths that were walked by Mary, Queen of Scots, walk around a” miniature Stonehenge” and visit a tropical garden complete with palm trees that you'll find in northernmost Scotland! And maybe there's a little Harry Potter surprise in store as well! Surprises are in store for listeners as they are introduced to exceptional hoteliers and their inspirational lodgings. Join the fairy tale experience of this wonderful adventure as radio show travel expert, Stephanie Abrams, takes listeners to this unique part of the United Kingdom on Sunday nationally on radio, globally online. Steve Alten, author of ,“The Loch,” a novel based on fact and theory about the Loch Ness Monster. Graham Cowan, co-owner of Glenapp Castle near Glasgow, Scotland, a 34 room 5 star luxury castle experience where informality and comfort abound in an ambiance of friendship. Andrew Weir, a Scotland Specialist, from Visit Scotland banters with Stephanie about the wonderful places to visit and play golf. And a special surprise about the Culloden House in Inverness, Scotland! The World Traveler, a special guest, joins the show for an update on his travels to Scotland. You won't want to miss that! LTU Airlines whisks us away to Germany where we'll visit Dusseldorf, Hamburg, Leipzig, Hamburg, Berlin and Munich! Not bad in 2 hours! Peter Dorner from LTU Airlines, North America. Edgar Vonderweiden, Director of Novotel Leipzig. Jurgen von Massow, director of Dorint Sofitel Am Alten Wall, Hamburg. Janique Vogts, Dorint Sofitel Mondial Am dom Cologne. And executives from Accor Hotels in Berlin and Munich.